Plastic is everywhere. Ever feel like your drowning in it? Like you just can’t get away? Well, we do have it bad, but unfortunately our animal friends have it even worse. We are literally drowning our buddies downstream. And get this – tiny pieces of plastic are now even being discovered in human feces . Do I have your attention? Some 18 billion pounds of plastic waste flows into the oceans every year from coastal regions. That’s the equivalent of five grocery bags of plastic trash sitting on every foot of coastline around the world . The main cause for the increase in plastic production is plastic packaging. Plastic packaging made up 42% of all non-fiber plastic produced in 2015, and it also made up 52% of plastics thrown away . Nearly a million plastic beverage bottles are sold every minute around the world. In 2015, Americans purchased about 346 bottles per person . Single-use-plastics frequently do not make it to a landfill nor are they recycled. A full 32% of the 78 million tons of plastic packaging produced annually is left to flow into our oceans; the equivalent of pouring one garbage truck of plastic into the ocean every minute. This is expected to increase to two per minute by 2030 and four per minute by 2050. By 2050, this could mean there will be more plastic than fish in the world’s oceans. Choosing to buy products with less packaging or no packaging altogether makes a big difference . We’ve got a real problem on our hands, and it’s expanding so fast that we don’t even know the full reach of its ramifications. So what can we do? We MUST reduce our plastic consumption! This means changing our habits. Start small, with a change or two and keep adding new ones! Bring your own grocery bags and shopping bags – an obvious one. Just say no to plastic produce bags! Use reusable bags instead (consider making your own out of old material/clothes you don’t wear anymore). Buy in bulk, and bring your own container for your bulk items (jars, bags). Make your own ______ (fill in the blank, the options are endless – bread, toothpaste, tortillas…). 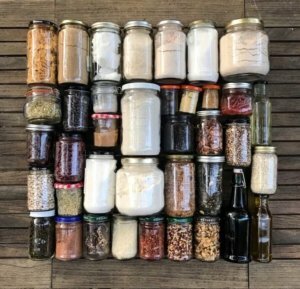 For an amazing list of 50 tips to reduce plastic use, check out this awesome article by the zerowastechef! A shift in dominant public mindsets away from our throwaway culture focused on convenience being equal to disposal, toward a vision of healthy, sustainable and more connected communities. 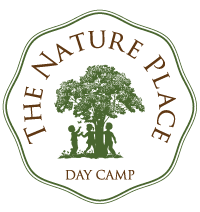 Contact ayla@thenatureplace.com or emily@thenatureplace.com to sign up for our Zero Waste Community where we talk about these topics and more, and keep each other motivated to continue to fight the beast.